I got a number of lovely gifts for my birthday last week. 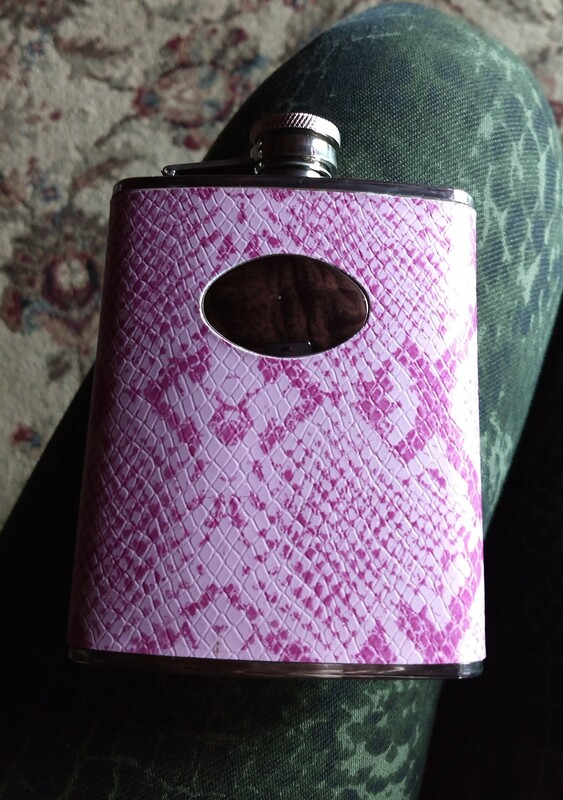 Angela Keaton described this flask (which I received from Jeremy Dunn, along with a smaller travel flask & an Alfred Hitchcock set) as “peak Maggie”. Nattie Roman sent me a different Hitchcock set, and Daedalus gave me a sweater dress (and a grooming set for Shiloh!) I also got some lovely things from my close friends (some of whom joined me for a small, quiet celebration Halloween night). And I also received another, intangible gift: birthday greetings from an online friend I haven’t heard from since I came to Seattle, but have often thought of quite often. This was a little quieter birthday week than I’ve had for the past few years, partly because of the way things fell. But it was good to have a few hours to visit with people I love, and to receive tokens of esteem and love from people I know both in person and online. And when I’m in one of the dark moods that have been a regular part of my life since before puberty, it’s good to look at things like cards and gifts and remember that many people feel their lives are better for having known me.